Renaissance man Leonardo da Vinci born in Vinci, Italy. Dr Samuel Johnson publishes his Dictionary of the English Language. German poet, painter, and illustrator, Wilhelm Busch (Max and Moritz) born in Wiedensahl, Germany. 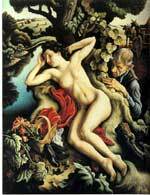 Artist Thomas Hart Benton born in Neosho, Missouri,. Blues singer Bessie Smith born in Chattanooga, Tennessee. The passenger liner RMS Titanic sinks after having struck an iceberg on April 14. Eternal President of North Korea Kim Il-sung born in Mangyðngdae, Korea. Anarchists Sacco and Vanzetti allegedly murder two security guards while robbing a shoe store. Jackie Robinson of the Brooklyn Dodgers broke the color line in professional baseball. Tiananmen Square protests begin in Beijing, China. Two bombs explosions near the finish line at the Boston Marathon kill 3 people and injuring 264 others.